This video shows you how to make a tuna pasta bake. 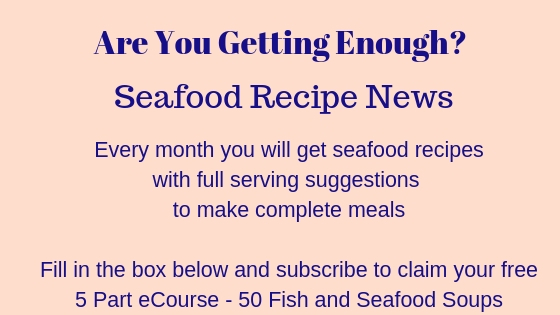 It's economical, tasty, nutritious and easy to make. It's a great meal for the kids or grown ups and it's also extremely versatile. You can add any chopped veggies you like which will add different flavours or make it go further. The basic ingredients are below, with some step by step photos, variations are below that and there's my video - I've not done many yet and I'm incredibly nervous! 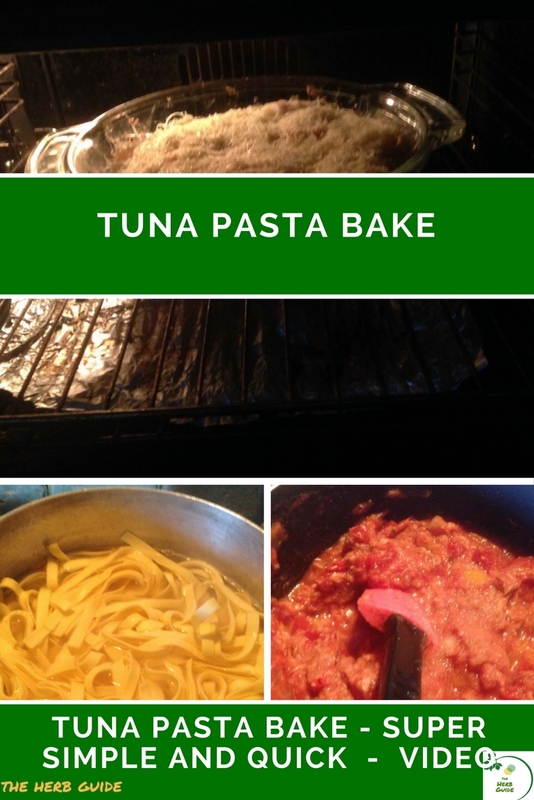 I used tagliatelle in my tuna pasta bake as I had some fresh that needed using up. I didn't want to freeze it, what's the point of buying fresh pasta, to then freeze it? The Cups of pasta you use will depend on the size - short cut will be 2 Cups, larger pasta shapes 3 Cups. If you're using spaghetti or other noodle types, then use 8 ounces - enough for four people. This is a great way of using up leftover pasta - if you've cooked too much OR you can double up, pop it in the fridge for a couple of days or freeze it to menu plan ahead. 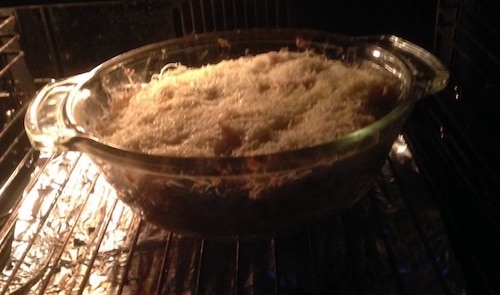 Set your oven to 350F, 180C or Gas Mark 5 and get an oven proof casserole dish ready. Boil your pasta in plenty of salted water - cook it slightly less than al dente, as it will be getting extra cooking time in the oven. Heat your oil and add the chopped onion and pepper. Fry for a couple of minutes until they're translucent. Add the tomatoes, tuna and basil. Bring up to a simmer and at this point, taste your sauce to see if it needs any more seasoning. A teaspoon of dried mixed herbs goes in nicely (it's normally Mediterranean mixture, so oregano, marjoram and basil) and some salt and pepper to taste. Drain your pasta into the casserole dish. Add the sauce and stir it through. Sprinkle the grated cheese on top and bake in the oven for around 25 to 30 minutes until it's all heated through and the cheese is golden. You can serve some crusty bread with this if you're not watching your carbs or a portion of green vegetable, such as green beans or broccoli. A green salad or just tomato and cucumber salad would go great with it too. If you're wanting to make this 'low calorie' or simply be more frugal, then use one Cup of finely grated cheese - if you're not too worried about calories then use up to two Cups. If you're doing Weight Watchers, I can tell you that this recipe will be 6 points per portion with the lower amount of cheese on. Slimming World, you'll have to use your syns for the cheese.